Mother's Day is coming soon, and you need some ideas - or some things for your kids to do? Well, how does free sound? ❤ Mother's Day Crafts -- These Mother's Day crafts projects are for preschool, kindergarten and elementary school children. The crafts use materials found around the house, like egg cartons, cardboard, paper, boxes, string, crayons, paint, glue, etc. ❤ BackRub Coupon - Printable Mother's Day Coupons -- Print out this coupon for a back rub and give it to mom or another special lady on Mother's Day. One Big Hug coupon, One Breakfast in Bed coupon, One Car Was coupon, Control of the Remote for One Full Day coupon, and many more! ❤ Mother's Day Printables -- Mother's Day worksheets remind kids that thanking Mom is a top priority by encouraging creativity, imagination and reflection in an academic setting. These worksheets for all ages, are sure to give kids some time to recognize their special moms, and put a smile on any mother's face! ❤ Mother's Day Printables, Mother's Day Coupon Books, Bookmarks -- Free Mother's Day printables, including printable Mother's Day coupon books, free printable bookmarks and free printable Mother's Day cards. ❤ Mother's Day Crafts -- With household supplies, a little guidance from an adult, and their natural creativity, kids can create meaningful cards, tote bags, and journals Mom will instantly cherish. 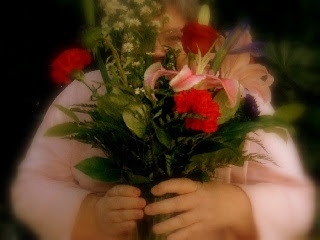 ❤ Send mom an e-card -- you can even send warm Mother's Day greetings to all your friends and family members who are moms. ❤ Baskin Robbins -- Floral Stripe cake - $3.00 off at Baskin Robbins, in stores with a printable coupon - online with a special code. Minimum $15 cake purchase required. ❤ Carvel -- Edible image cakes allow kids and adults to send their mom a personalized card-on-a-cake – created by you. ❤ Cold Stone Creamery -- Cold Stone Creamery has special occasion cakes for mom. ❤ Cracker Barrel -- Moms can try the Momma's Pancake Breakfast – with three buttermilk pancakes, two eggs and bacon or sausage. ❤ Einstein Bros. Bagels -- Give mom your heart, or, at least a heart-shaped bagel. Chocolate chip, cranberry, and plain bagels are available on Sunday. Pre-ordering is recommended. ❤ Hooters -- Mom eats free at participating Hooters restaurants. Get a complimentary entrée from a special Mother's Day Menu, with any drink purchase. ❤ Ibotta -- Moms get a complimentary mimosa, up to a $5 value, at any bar or restaurant, redeemable through the Ibotta app. ❤ Long John Silver's -- Mother's Day special: Buy one platter, Get one free. It is valid now through Sunday. ❤ Outback Steakhouse -- Specials for mom run through Tuesday. Moms can get the Queensland Meal -- a signature entrée, two sides, and an individual-sized cheesecake. ❤ Shoney's -- Participating locations will be offering a Mother's Day all-you-can-eat buffet. Moms get a free slice of strawberry pie and will be entered into a Mother's Day drawing to win a $100 Shoney's gift card. ❤ Spaghetti Warehouse -- Moms get a voucher for a free 15-layer lasagna dinner on their next visit plus they will be entered into a drawing for a chance to win $1,000 cash. ❤ TCBY -- Mom gets free frozen yogurt at participating locations on Sunday. Check with your local store. ❤ Tim Hortons -- Treat Mom to a TimbitsBouquet for $12.99 plus tax. Available at participating restaurants across the country on Saturday, May 12 and Sunday, May 13. While supplies last.